MATTIE Kenny has challenged his medical personnel and athletic development team to have as many players available to him as possible for the start of Dublin’s 2019 League campaign. Having tested a number of prospects during Dublin’s two Walsh Cup matches to date, Kenny is seeking to have as close to a fully-fit squad as possible for the beginning of 2019, when the Ballyboden St Enda’s contingent are also scheduled to link up with the group for the first time. “It’s our aim to have everybody available when we go into January, with the ’Boden boys and everyone,” Kenny confirmed. “That’s what we said when we met – that we wanted to start the year with a healthy squad. “You can have all the great players and all the talent in the world,” he added, “but unless you’re able to get them on the field, it’s no good to you. Despite playing a number of established names in both Dublin’s Walsh Cup victory in Carlow and again against Offaly in Parnell Park five days later, there are still a number of 2018 Championship regulars who are yet to make an appearance under Kenny. They include players such as Danny Sutcliffe, Liam Rushe, Eoghan O’Donnell, Paddy Smyth and Rian McBride. Conal Keaney, meanwhile, underwent shoulder surgery last week and is expected to be back towards the end of Dublin’s League campaign. The rest of Ballyboden’s hurlers called up by Kenny following their county championship-winning exploits and Leinster final appearance are scheduled to return early in the new year. “At inter-county level, the pre-season is based mostly around the conditioning. Conor Clifford and Cliodhna O’Connor – this is their big block of work,” Kenny outlined. “They’re the people that are driving this period coming up to Christmas, along with Moss Landman and Eamon (O’Reilly), they’re the physios. “Our nutritionist and our doctors … the target we set at this period of time is to get that conditioning block of work done and get everyone healthy and fit and injury-free. “That was the target we set down. They’re responsible and accountable to make sure they got that block of work done. So they’re working away. “They’re really leading this block of work coming up to Christmas. The coaching and hurling, we’ll build that more into it as we’re coming into the new year. 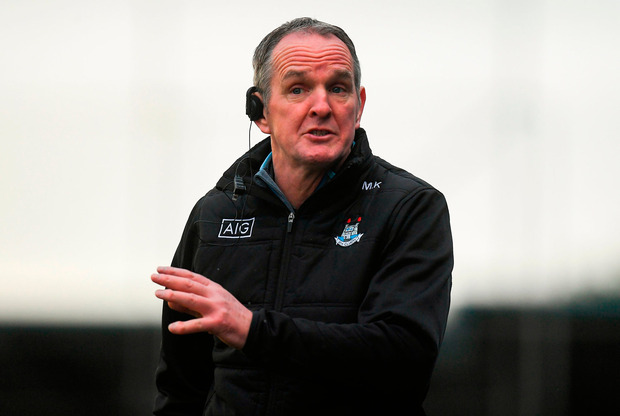 Mark Schutte, who has been part of Jim Gavin’s Dublin football squad for the past two years, and Darragh O’Connell – who sat out the 2018 inter-county season – have both committed to returning to the panel under their former Cuala boss, although neither are understood to be close to a return to playing yet due to lingering injuries. Schutte is struggling with a foot injury that ruled him out for much of Cuala’s 2017 Leinster club-winning campaign. (0-27 to 0-18) in Parnell Park before half-time with what looked like a hamstring injury, an ailment he has struggled with in the past. According to Kenny, however, Treacy “just tightened up a small bit”. Kenny also admitted he deliberately gave game-time to Eamonn Dillon in both the Carlow and Offaly games to help the Naomh Fionnbarra forward return to match fitness after a luckless year with injury. “Yeah, he picked up a simple dead leg last year and it just... complications arose around it and it took him out for a lot of the season,” Kenny explained. “The Eamonn Dillons of this world, we need them on the pitch expressing what they can do. Injuries are frustrating for any player and any manager as well because we want our best players available. “They’re a good group of guys,” Kenny said, widening the conversation to the level of ambition in his currently bloated training squad. “We’ve a good few players in there now. So really, it’s just heads down, getting our pre-season work done and working away quietly. These two games, they were good this week, just to break the monotony of the gym. But they’re a really good bunch of lads. Dublin next game is against Laois in O’Moore Park, Portlaoise (2.0) on Sunday, January 6.